These are just some of the comedians appearing at the Sit Down Comedy Club on all P&O cruises. You'll never know who you'll meet! 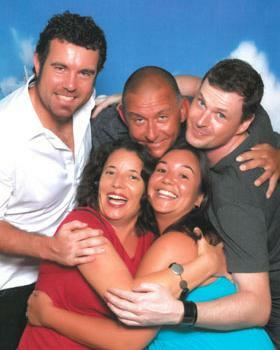 If you love comedy and cruising - why not check out one of the very funny P&O Comedy Cruises that feature through out the year featuring some of Austrlaia's top comedians! A comedy festival afloat! To enquire about who is performing on your upcoming cruise please email reception@standup.com.au. To book or enquire about holidaying on P&O Cruises, check out their website.